Spirit of the Land explains how the concepts of Natural Agriculture were developed, how farmers can practice Natural Agriculture, and what can be achieved through Natural Agriculture farming. It is a comprehensive resource for learning Natural Agriculture principles and practical guidelines from seed saving, restoration and protection of the soil to continuous cropping. 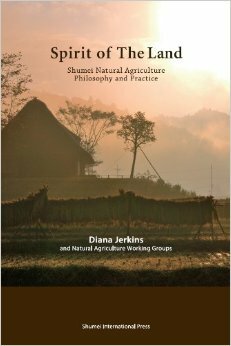 This book describes how Natural Agriculture not only feeds the hungry, but how it can bring balance to the environment and peace and health to those participating in growing and consuming Natural Agriculture products.